Bobee is a company that offers a variety of vinyl wall decals for children's rooms and nurseries. 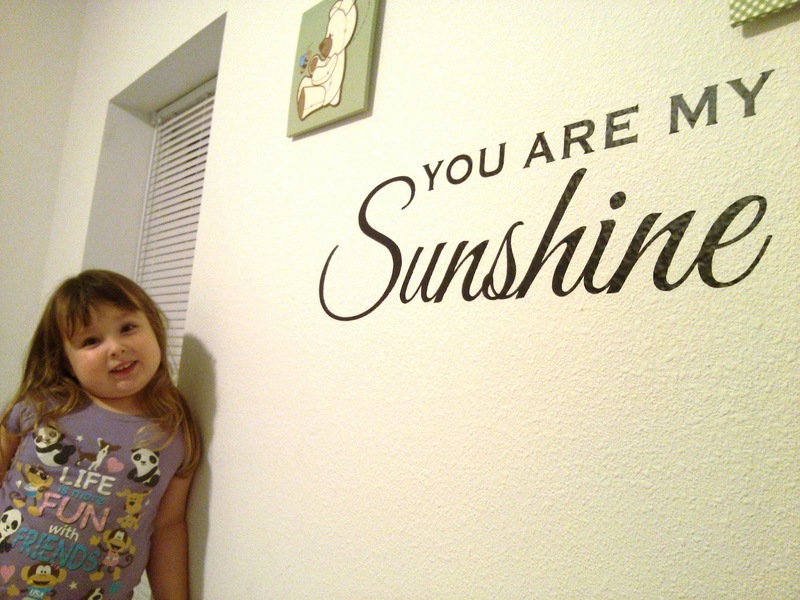 I received the You Are My Sunshine wall decal for review. It's 23" wide by 7" tall in black matte lettering. 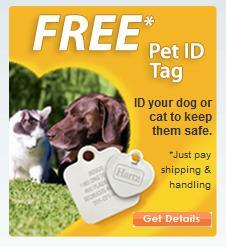 The words can be cut and arranged in different layouts, but we chose to keep the design as is. We put this decal up in Sophia's bedroom right above her bed. 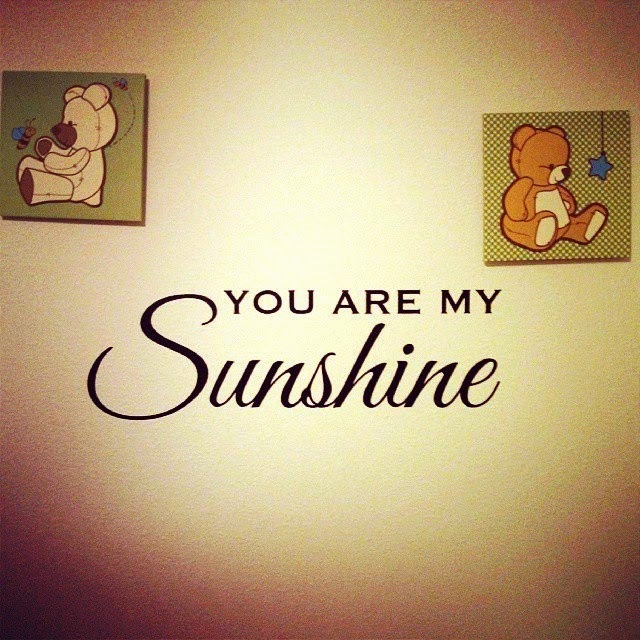 I wanted her to always remember that she is my sunshine! When I told her what it said, she started singing the song - it was so sweet! I made sure to follow the instructions by first washing and drying the wall really well - especially since it is textured so it's always a bit tougher to apply decals on texture. I've applied vinyl decals before so I didn't really need to consult the instructions for the application, but if you have never done this before, definitely read the instructions and view the Bobee instructional video. It was pretty easy to apply, although they didn't include a plastic scraper tool that helps get the vinyl to stick without air bubbles, so I used a credit card instead. Make sure you rub the letters several times before peeling away the backing and always peel very slowly at an angle, and you will be good to go! This decal looks so nice on the wall and really spruces up Sophia's room. The nicest part is that it's removable and won't leave any residue or ruin the paint if we ever need to remove it. This is a great and affordable decor option for anyone, but especially for those who like to change up decor every so often or if you rent and can't apply permanent paint or decor to your walls. It's also way easier than painting a design like this on the wall. We love it!